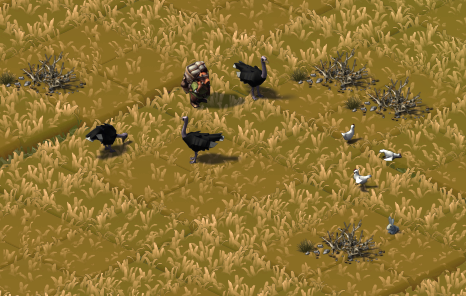 We’re still adding new animals to Ymir , this week : Ostriches , chickens and fishes. 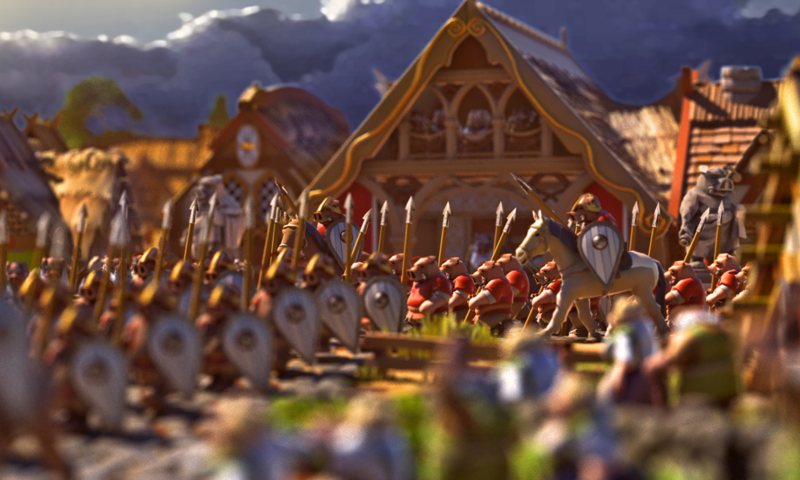 Below are photoshop previews of how they’ll look ingame. 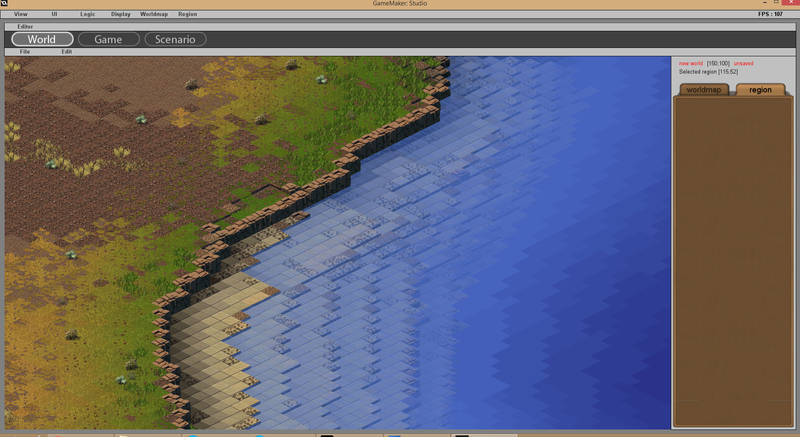 We now added water, and grass coloring. It gives a visual feedback to know the level of water in the ground, and a quite nice gradient around rivers in arid climates. Water tiles are also slightly transparent, and if i find a way at some point i’d also like to combine this transparency to a blurr effect. 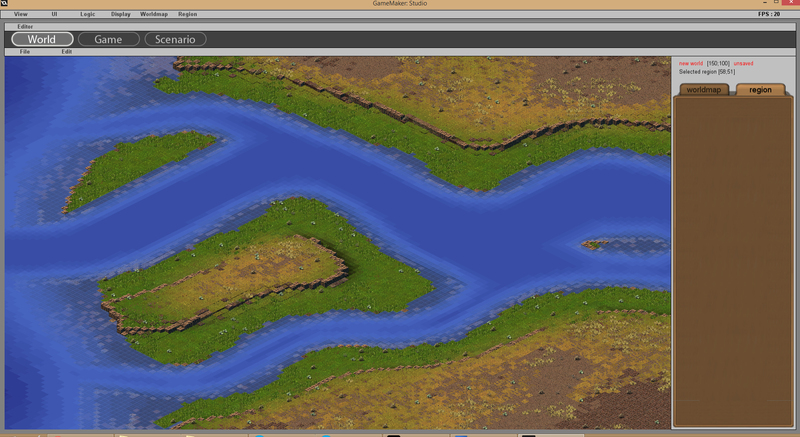 Rivers will now also occasionally generate islands and deltas when reaching the sea. 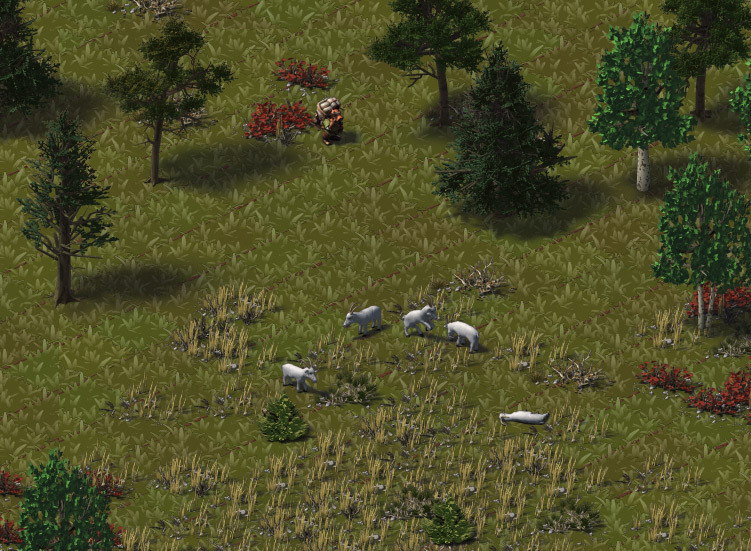 Last week Alpyro made goats, another animal that will be used to produce meat, and potentially milk. 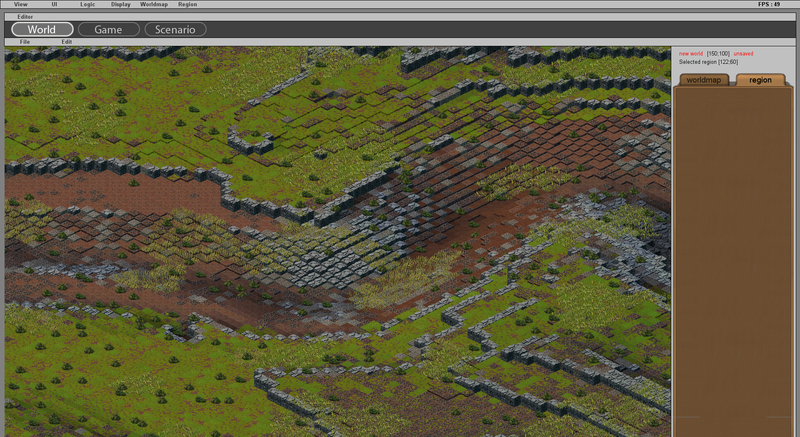 I mainly worked on an optimization issue and got stuck working on tool function i needed. 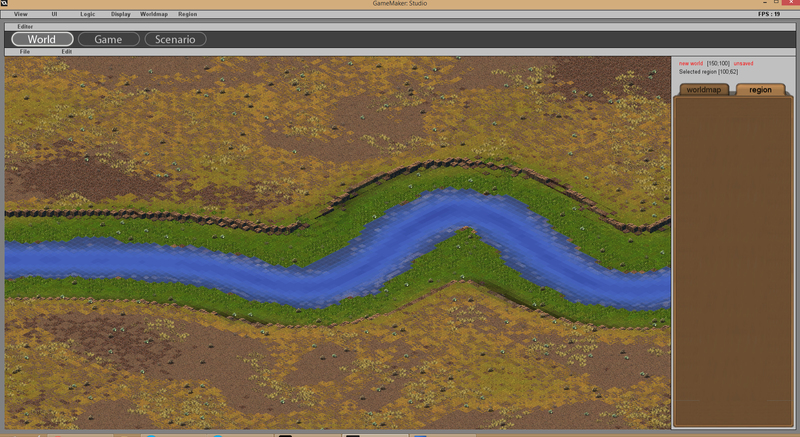 Besides that i started implementing river tracing in regions. There’s 3 sizes of rivers, and they generate valleys or various radius depending on the type of climate. Low erosion climates like arid or desert tend to create sharp canyons when there’s elevation ( like a river passing through hills ). Advancing the region generator and region display. 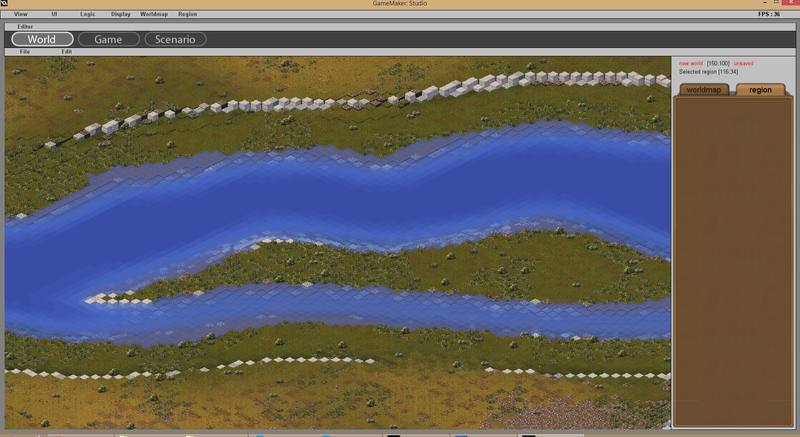 The basic tile type generation is done. – Rocks and gravels depending on height variations and climate level of erosion. 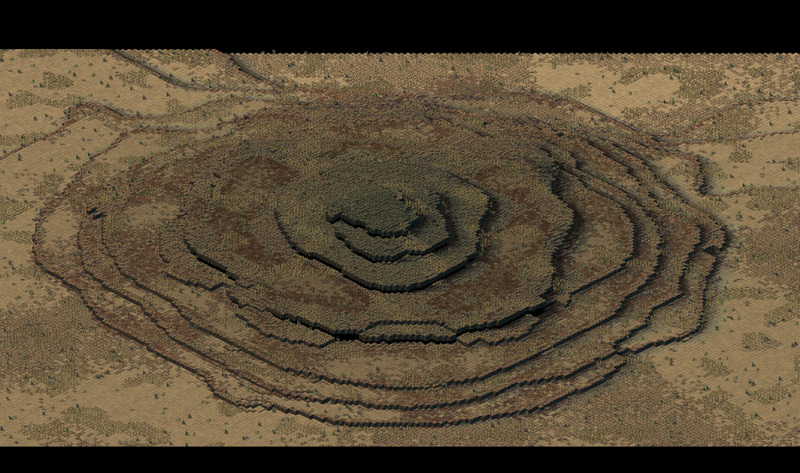 Each climate has its default rock type, like in the prototype. 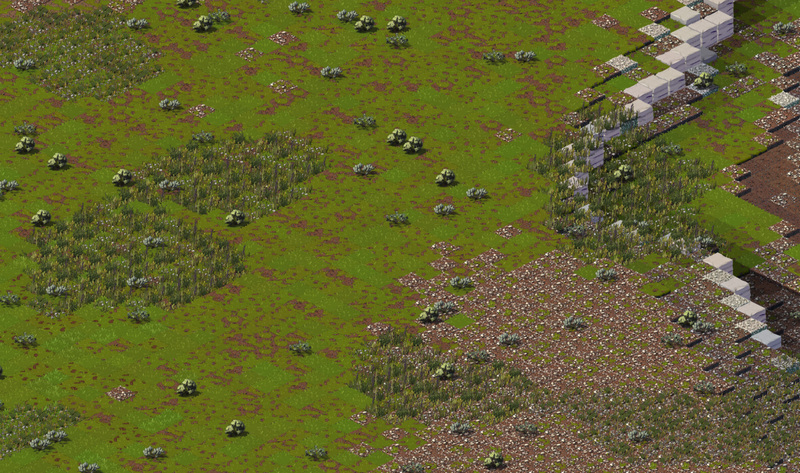 – There’s 3 types of basic tile types for each climate now, scattered randomly. For example you’ll get sand, gravel and gravely sand for deserts and you’ll get ground, poor ground and gravely ground for a Mediterranean regions. 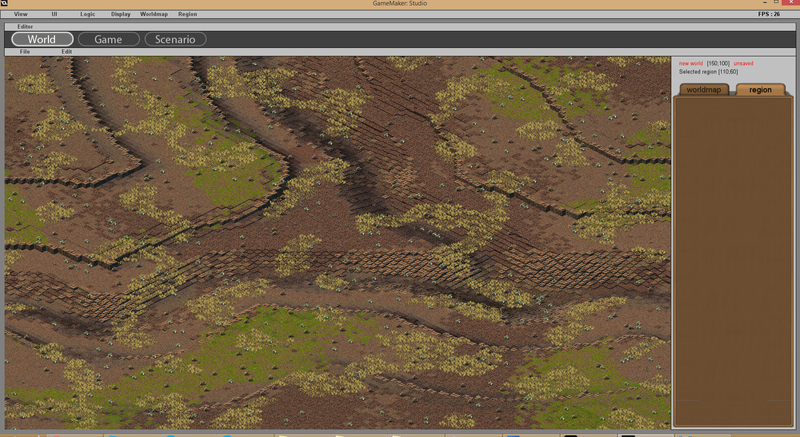 – Added “dryness” map on the terrain. Some tiles like grounds or clay even have a visual dry version. So even if you have a potentially fertile ground, in a dry region like desert or arid it will be displayed as dry and will not be usable for agriculture until irrigated. 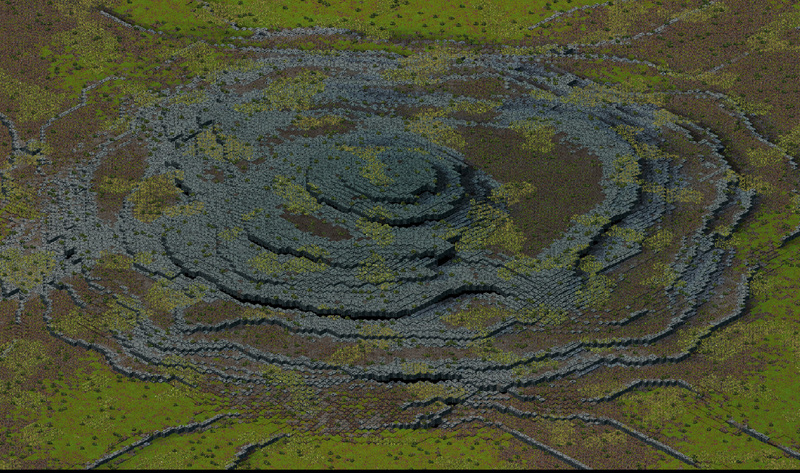 – Started to implement cosmetic vegetations. There’s 2 types of grass and one type of bush per climate, with 3 variants as it was shown in previous weeks photoshop previews. 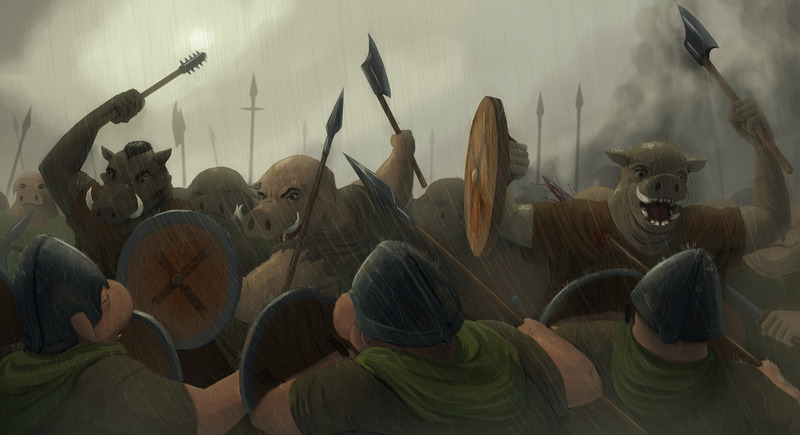 They’ll be animated. They’re now ingame , though their placement is just basic for now. Some of the remaining things to do in next weeks to finish the region generation and display : River generation on regions, a new optimized water display, cosmetic vegetation final placement, game resources placement and a lot of optimization to do to improve frame-rate despite all these new added contents. 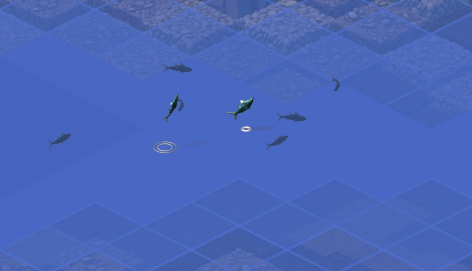 We’re also adding new animals. 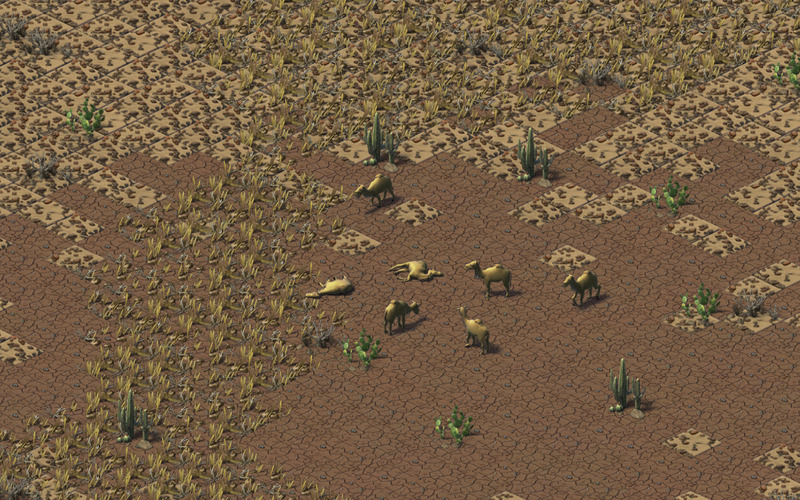 This week : the camel (will also potentially be used for military units). No real news this week : we’ve been off to Toulouse, a city in the south of France where we searched for a shared flat to rent and where we’ll also work. Also with a pretty cool 100mb internet connection which will come handy when hosting new servers!